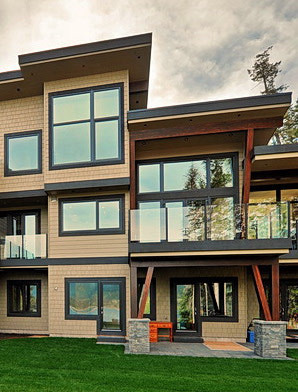 Innotech "Tilt + Turn Picture Windows" are ENERGY STAR qualified for Zones AB (double glazed) and Zones ABCD (triple glazed) and are listed on the NRCAN ENERGY STAR website. Depending on the finish they may have up to 70% recycled content in the overall product. 1.1.16 All windows in home are ENERGY STAR labeled (or equivalent) for the climatic zone of the home (1 point), or for a higher zone (eg. zone C windows on a home in zone B) (for 2 points).